January 8, 2019 – Hair gel is a great styling product for active people living an on-the-go lifestyle. But, not all gels are the same. Dabur has introduced an all-new challenge to demonstrate Vatika Extreme Hold Styling Gel’s strong and long-lasting hold that will keep your hair tame for hours. The winner of Vatika Extreme Challenge will feature in Vatika Styling Gel’s next ad film and the first 1,000 entries will receive an exclusive shopping voucher from Souq.com. Popular vloggers ‘The Saudi Reporters’, Wissam Hilal and Butti Al Salem have already uploaded their own hilarious video doing the challenge, reaching over 5 million views. To enter the competition, upload a fun and unique homemade video of you applying your Vatika Extreme Hold styling gel and doing a fun activity whilst rocking a put-together look that stays in place all day. Share your video on Vatika Styling Gel page on Instagram or Facebook with the hashtag #VatikaExtremeChallenge and #VatikaStylingGel, tag 10 of your friends in the video, and invite them to share their own unique challenges. All challenges must be conducted in a safe and controlled environment. The deadline for entry is January 25th 2019. Every videos wins a Souq.com voucher. 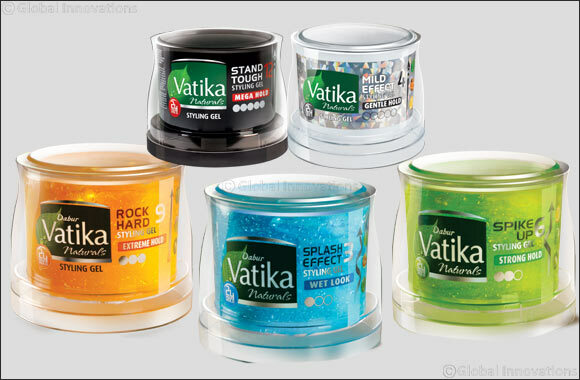 Best Entry will get a chance to feature in Vatika Styling Gel’s next Ad Film. Grand winner will be announced in February 2019. Vatika Styling Gel Extreme Hold with fixing actives allows you create long-lasting styles that won't budge and hold firm in all conditions, without flakiness or residue. Enriched with fortifying herbal extracts, its high-powered formula is designed to create extreme styles without drying or damaging hair.